● Remove PDF open and permission passwords. ● Remove PDF permission restrictions. ● Easy to operate and fast to process. 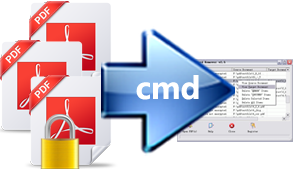 ● Decrypt PDF files protected by owner/master passwords. ● Enabl you to reuse the encrypted PDF files by removing restrictions on copying, printing, editing, commenting, page extraction, etc. from the input files. ● Remove user/open passwords from PDFs file only if you have the user/open passwords of the PDF files. ● Support PDF format of version 1.8. ● Able to remove 40 and 128-bit encryption owner passwords. ● Able to remove AES encryption owner passwords. ● Support drag and drop when input PDF files. ● Provide a command line operation (for manual use or inclusion in scripts). ● Support batch operation by using command lines. ● Decrypt protected Adobe Acrobat PDF files, removing restrictions on printing, editing, copying. ● Remove the security settings from your encrypted PDF file. ● Do NOT need Adobe Acrobat software. ● Support PDF format of version 1.8, including Acrobat 9.0 PDF files. ● Able to remove 40 and 128-bit RC4 encryption owner passwords. ● Support 128-bit AES protected PDF files. ● Easy to use, you can just load a PDF file and decrypt it quickly. ● Repair some damaged PDF files automatically. ● Recover corrupt annotations in some PDF files. ● Optimize the decryption speed for large PDF files. ● Optimize the processing for special PDF forms. ● Provide command line application for manual use or inclusion in scripts. ● Batch operation on many files from command line. ● Unlike most PDF password crackers, your PDF file is not altered in any way (except the decryption), even the file size is often the same. That minimizes the possible incompatibility of the unlocked PDF file. Supported by Windows 98/ME/NT/2000/XP/2003/Vista/7/10 (and later) of both 32 and 64-bit. ● Secure PDF with passwords. ● Control the use of your PDF. ● Do NOT need other PDF editor. ● Set permissions to all the PDF in your archive in batches. ● Set open or user passwords to protect PDF from unauthorized opening. ● Set owner passwords to protect PDF from unauthorized editing, printing, and coping. ● Support 40-bit or 128-bit PDF encryption protection. ● Prevent printing PDF by unauthorized users. ● Prevent copying text or graphics of PDF. ● Prevent changing or editing contents of PDF. There two types of passwords you can apply to PDF files: owner/master password and user/open password. Owner/master passwords can be used to protect PDF files from printing, editing, change, and copying. With an owner password, users can get full access to the PDF file. This means if printing was disabled, you need to use owner passwords to print the PDF files. The second type is the user/open password. If you want to read an open password protected PDF file, you need to have an open password. ● Repair multiple PDF files one time. ● Remove open and permission password. ● No need for third-party PDF software. ● No need for a third-part PDF application. ● Batch process to repair multiple PDF files. ● Save repaired PDF files without open (user) password. ● Remove permission password directly. ● Display the real time process while repairing. ● No need for any other PDF application. ● Fix dozens of PDF files in one process. ● Remove PDF permission password. ● Batch process to fix multiple damaged PDF files. ● Remove permission password in repaired PDF files. ● Display the real time process status during repairing.